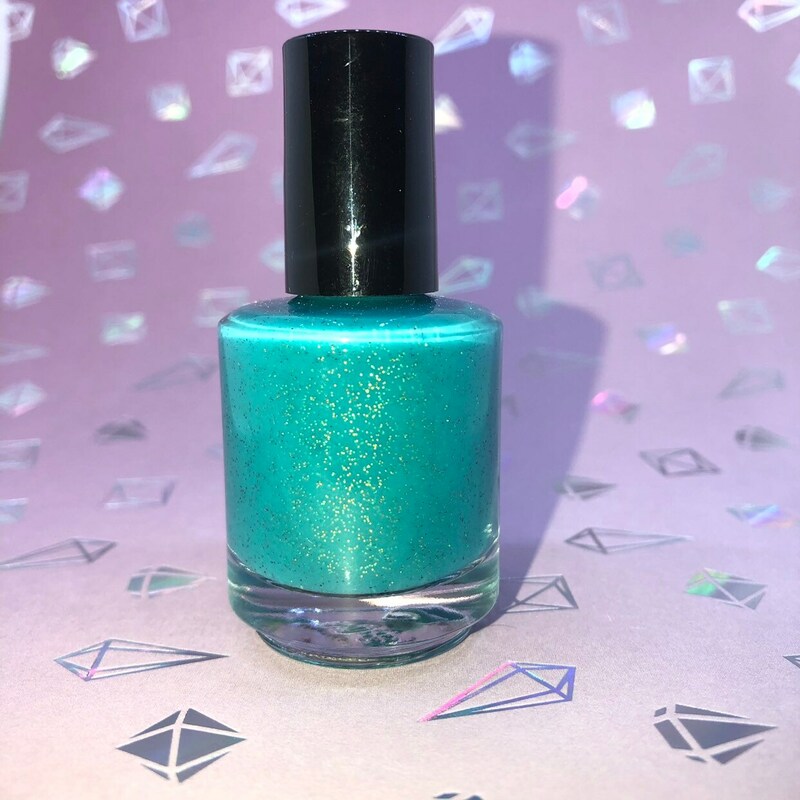 This polish is a fun turquoise when cool and fades to clear when warm. 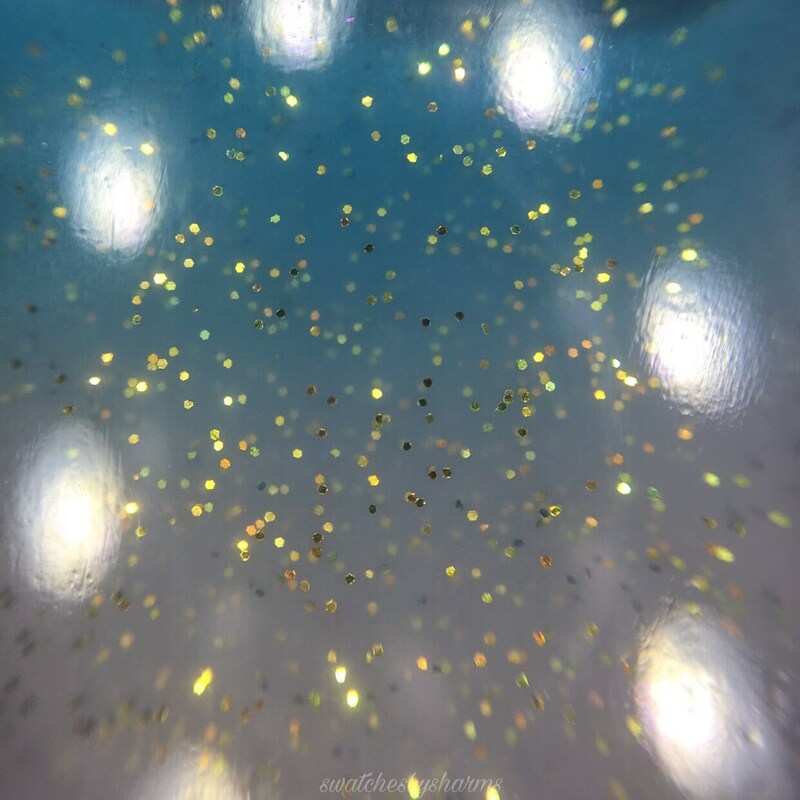 It's sprinkled with gold to green shifting shimmer glitter so when the turquoise fades to clear, the glitter remains visible! Wear it on its own or over another color. This would look awesome and wintery over white or a light shade of blue. 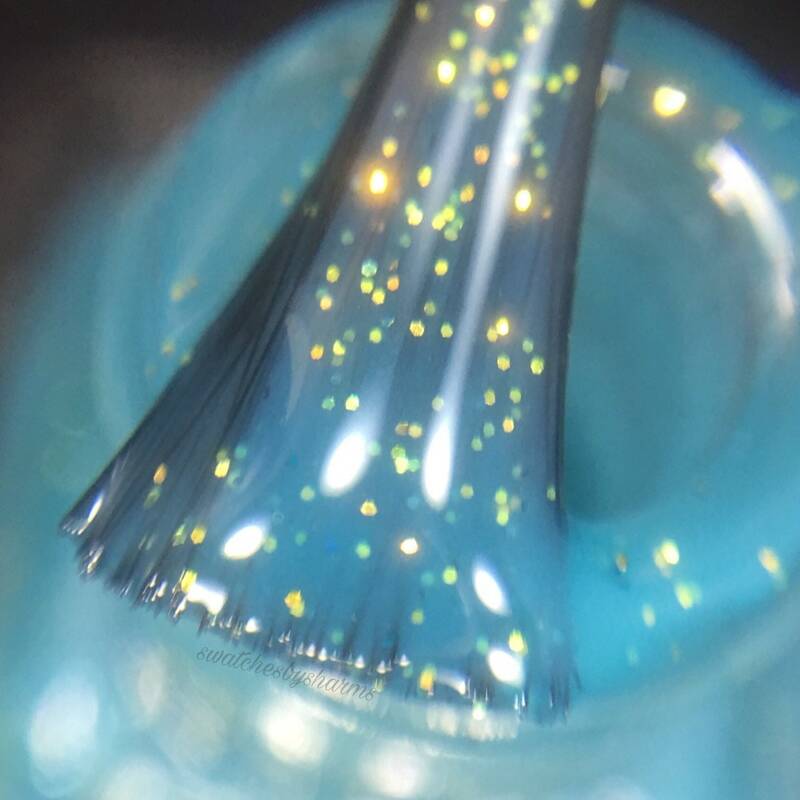 The photos above show it over a white polish. 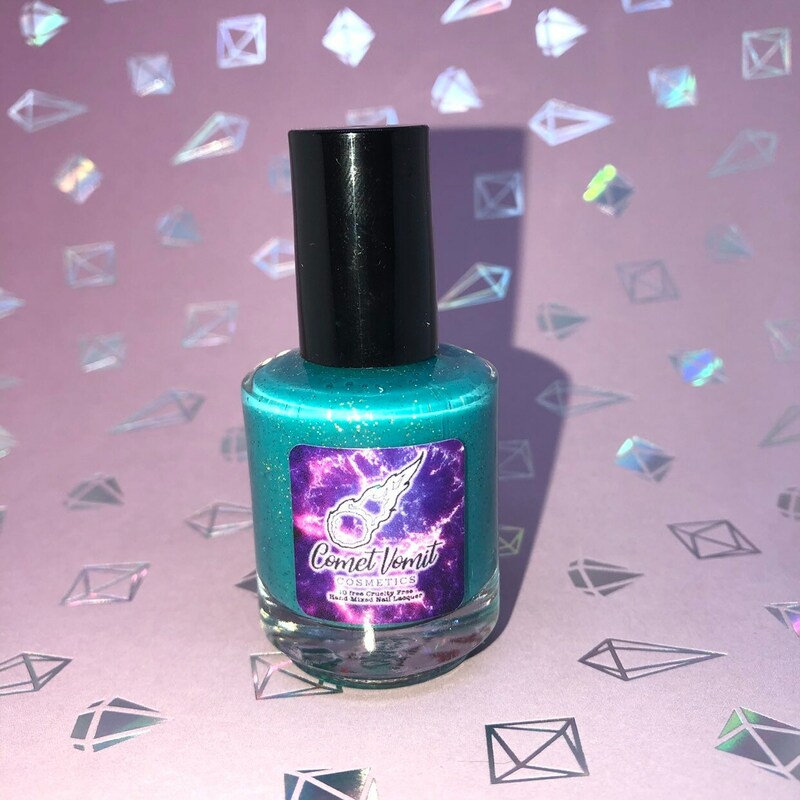 This polish is sure to be a hit at your holiday parties! 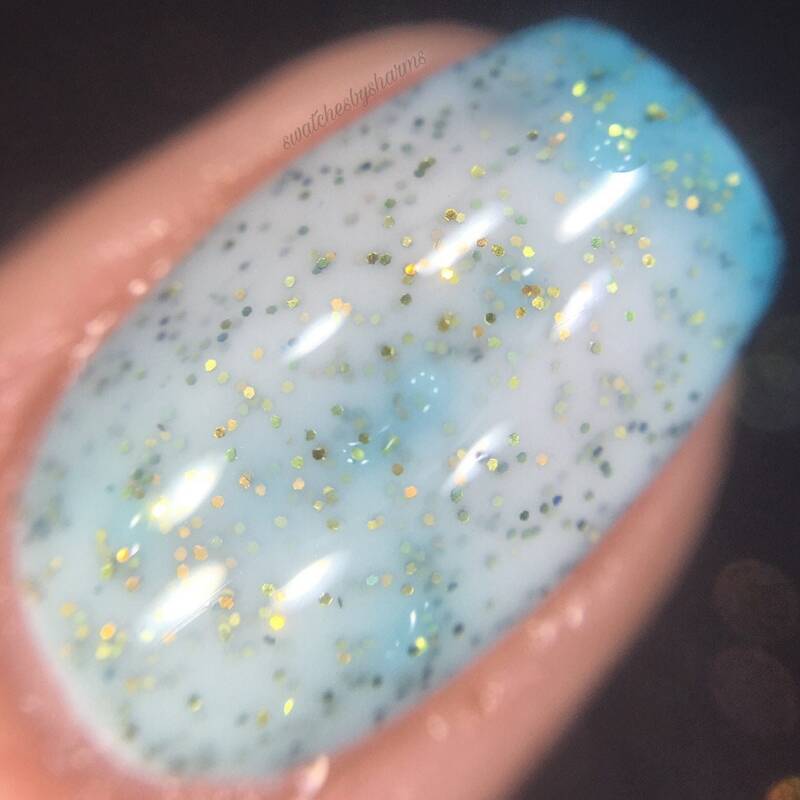 This polish changes color with temperature. Colors may vary based on all sorts of variables including humidity, climate, hot, cold etc. Sometimes the color changing pigments can get "confused" in shipping when going in and out of different temperature changes. 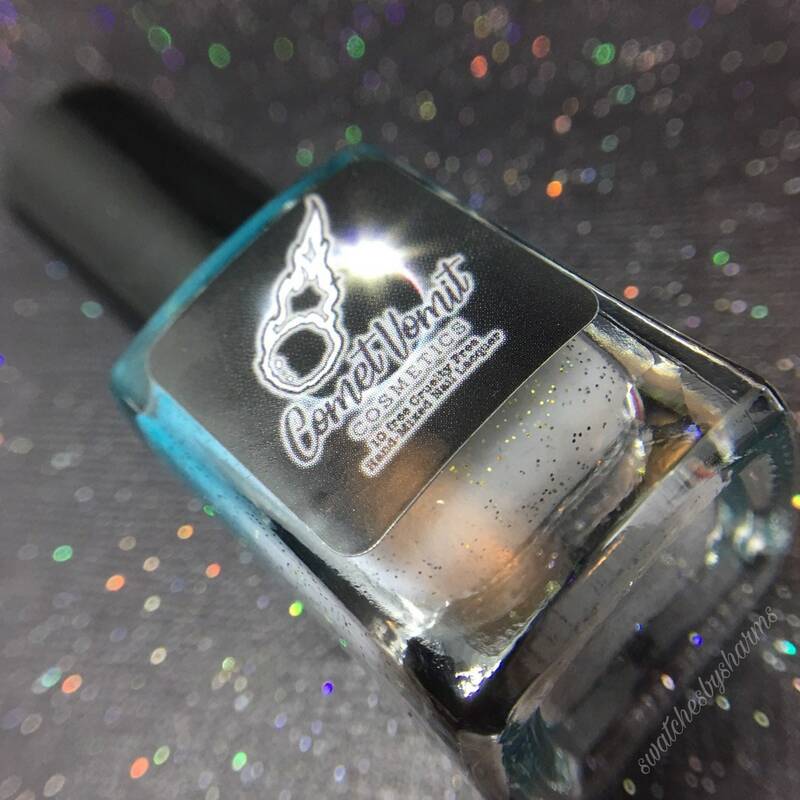 Give your polish 24 hours to acclimate itself upon arrival! 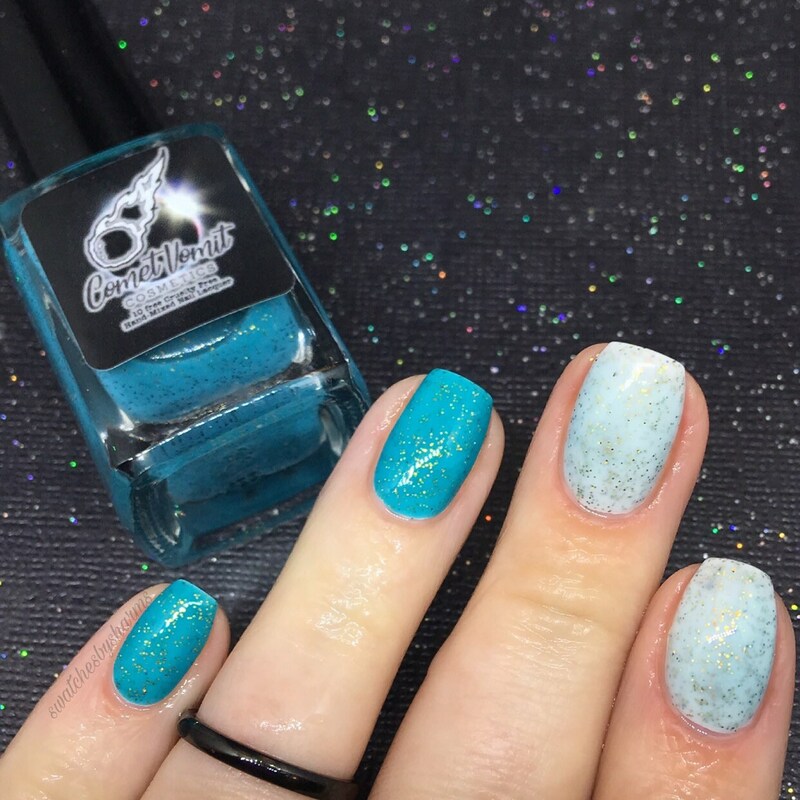 Store your thermal polishes in a cool dark place that doesn't change temperature too much like inside of a drawer/box etc. Thermal pigment has a shelf life of 6 months to one year. At some point the raw minerals in the the thermal pigment will degrade and the thermal change will "break" and stay one color. Keep this in mind when choosing your bottle size. 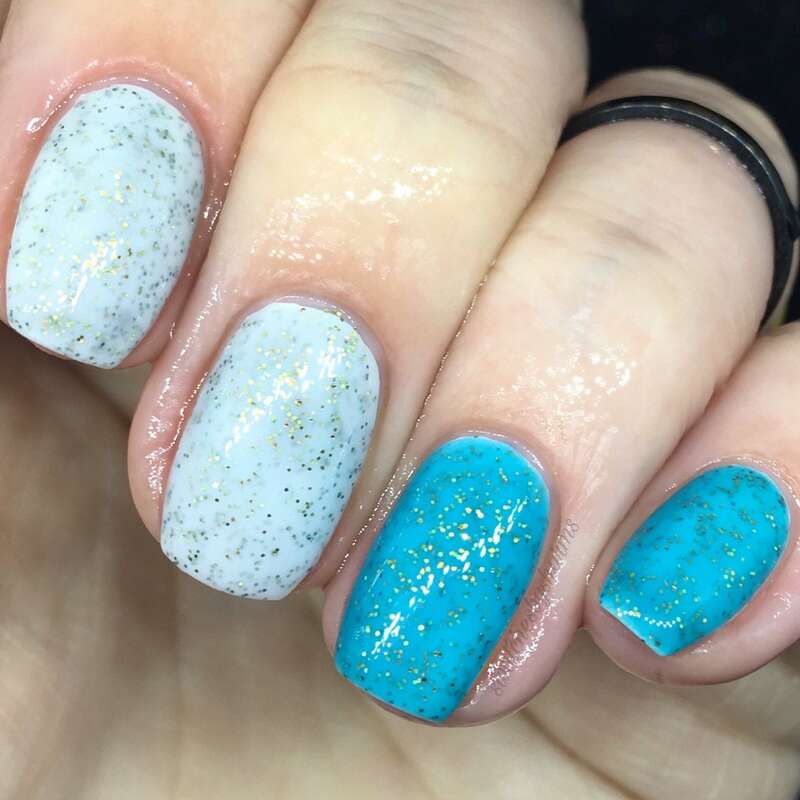 The best way to use a thermal polish is often!